Orion was the Krypton Cougars 2017 FIRST Robotics Competition Robot. This robot was one of the best robots in the FMA in 2017. The game in 2016 was called Steamworks, and it mostly consisted of shooting fuel into a boiler, placing yellow gears on a peg to get the steamship working, and then climbing aboard the steamship to fly away. The teams faced difficult tasks ranging from picking up the fuel, which were green wiffle balls, shooting them with accuracy into the boiler, to climbing aboard the steamship at the end of the match. 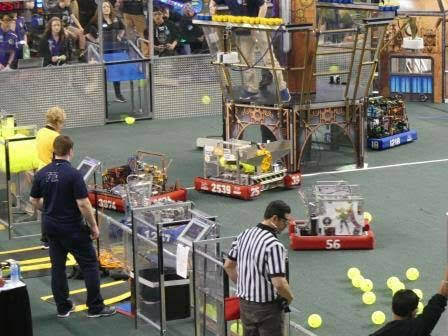 Team 2539 managed to create a robot that shot the fuel into the boiler with accuracy and precision, and the team was able to do this with a unique and brilliant vision program. Team 2539 would say without a doubt that this was one of the most stunning and marvelous robots they have ever created. 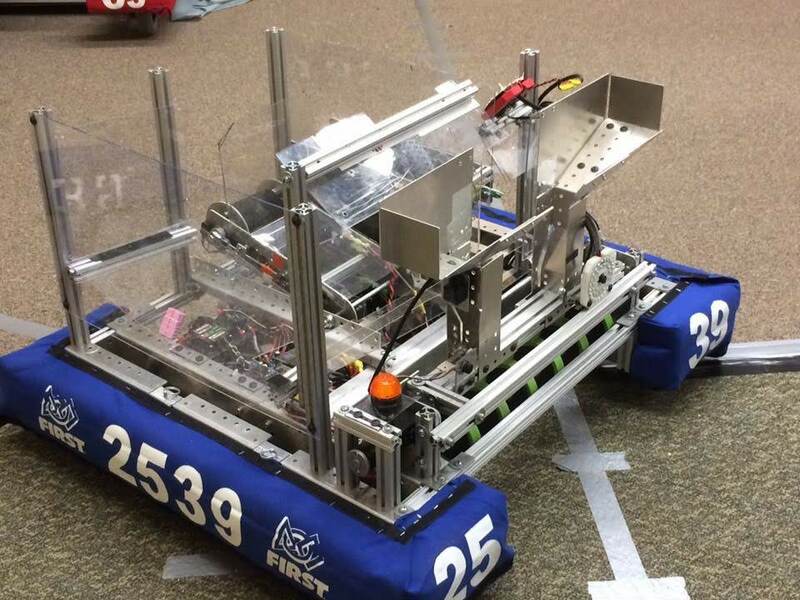 ​The first competition that this robot went to was the Hatboro-Horsham District Event, on March 4th, 2017. The Krypton Cougars placed 17th at the end of the qualification matches, making it all the way to the finals in an alliance with Team 2590 (Nemesis) and Team 3974 (E=mCD). At Hatboro-Horsham, Team 2539 finished with a finalist award, 36 points, and smiling faces. Orion's second competition took place at the Springside Chestnut Hill Academy District Event on March 18th, 2017. Team 2539 ranked 16th in the finished qualification matches. The Krypton Cougars proceeded to the quarterfinals with an alliance made up of themselves, Team 484 (Roboforce), and Team 3974 (E=mCD). The Quarterfinals at Chestnut Hill were very chaotic, as the Krypton Cougars lost the first match, came back to win the second, and then tying the third! 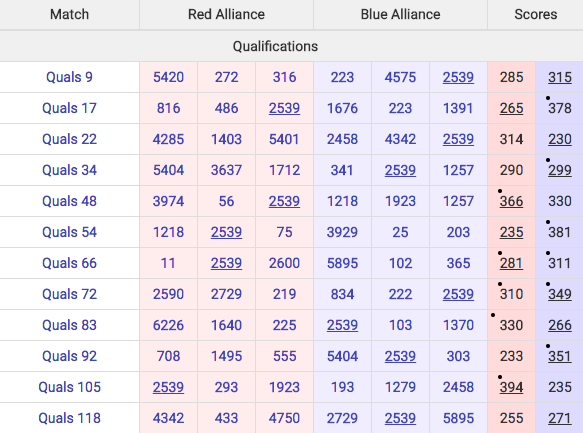 Sadly, the team's stellar performance was not enough to beat the Blue Alliance. At the end of the day the team finished with a 7-7-2 record, 22 points, and then walked away with the Team Spirit Award! Orion then proceeded to the FMA District Championship on April 5th - April 8th, in 2017. The Krypton Cougars put up an outstanding fight at this competition, placing 20th, and earning an outstanding 45 points! Sadly, they were not picked for an alliance, nor did they receive any awards. Making it to the Championship was still a major accomplishment, so the Krypton Cougars are sure to say that they're proud of the 2017 season. 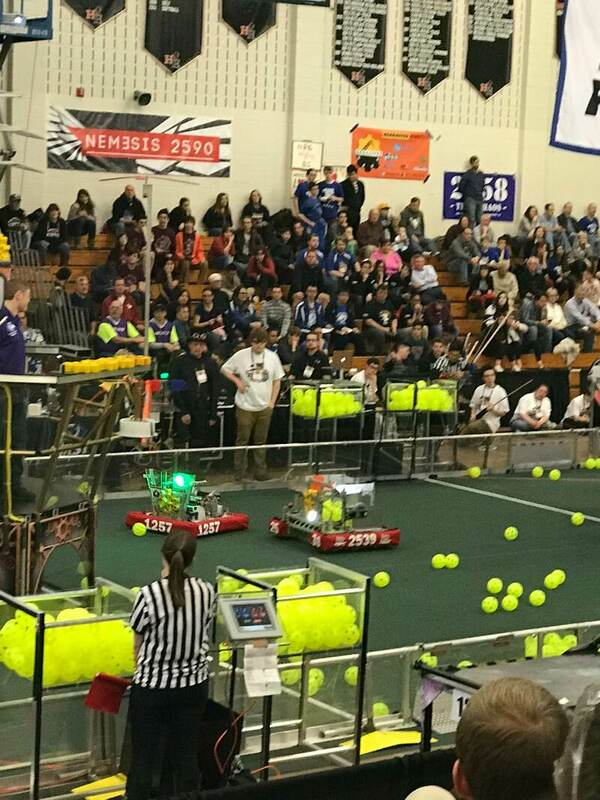 The Krypton Cougars proceeded to take Orion to an offseason competition called Ramp Riot on November 4th, 2017, taking place in Ambler, PA. The Krypton Cougars ended the qualification matches with a win loss rate of 4-3. 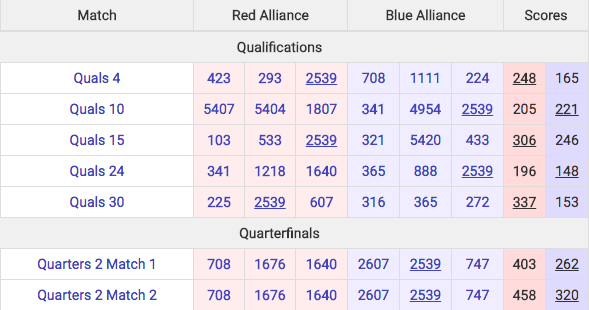 Team 2539 ended the day with an early leaving in the Quarterfinals as the eighth alliance captain.